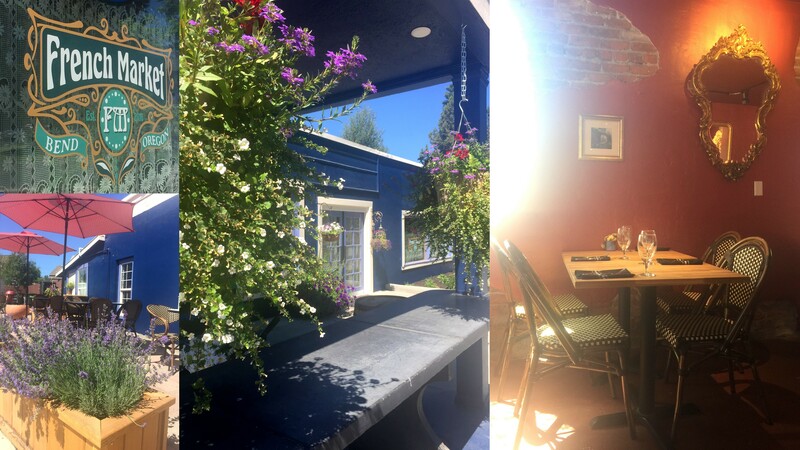 Nestled into the Old Bend neighborhood amongst the many cottage bungalows and historic estate grand mansions of their time, originally owned by the mill owners who founded this young, now booming tourist town is a new dining destination for lovers of French and western European cuisine. The French Market opened its doors this past June, and I couldn’t sit down in one of their classic bistro chairs quickly enough. First exploring their lunch and then having let the hours fly by during two memorable dinners with friends during the warm summer evenings, each experience has offered a warm welcome, ease afforded to simply enjoy the food, the ambiance and the leisurely pace of an everyday ritual elevated to a moment to savor either solitarily or amongst companions. The owners, Judith and Philip Lipton purchased the property in 2016 and took on a remodel of the once Riverside neighborhood market. 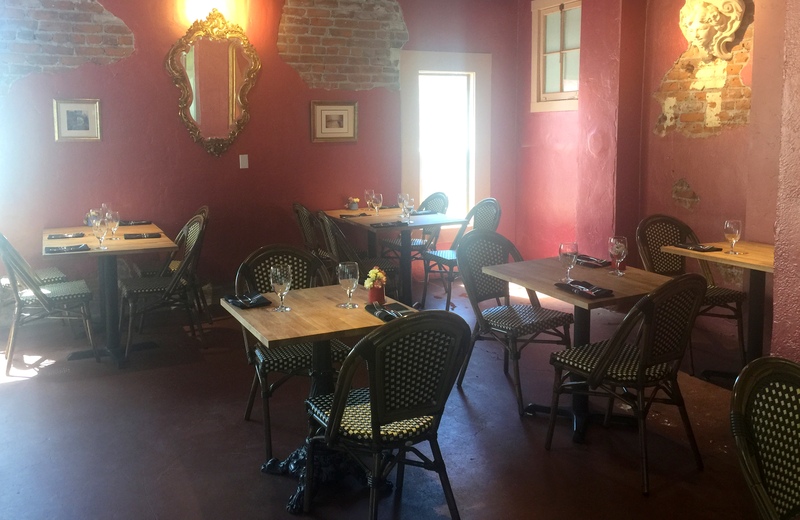 Having spoken to residents in the neighborhood who are now frequent patrons of the new establishment, they commented on the entirely different aesthetic and quiet, yet welcoming atmosphere The French Market has brought with their seasonal fare. It was during my second visit to the restaurant with two good friends visiting from out-of-town that I had the opportunity to first meet both Phil and his wife Judith. 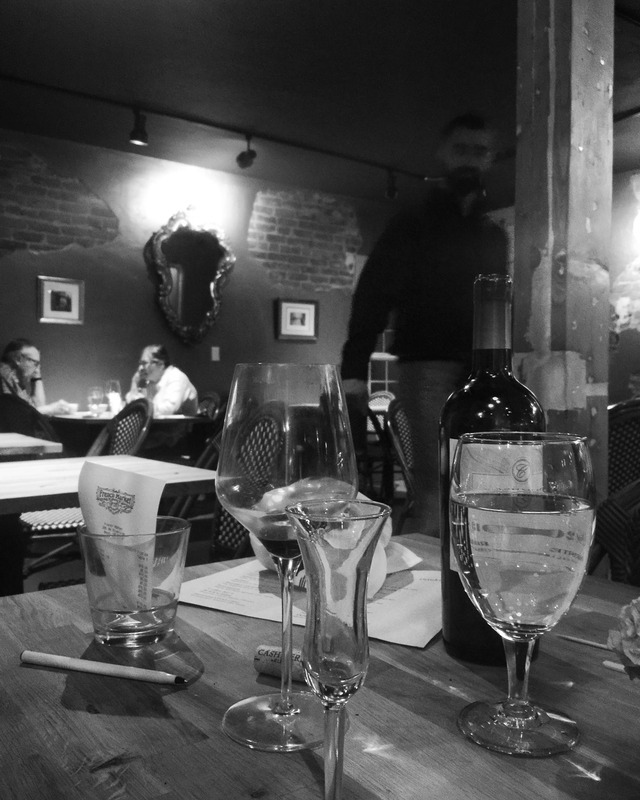 With a bottle of recommended red wine in hand, Phil stopped by to offer a taste test (and then the bottle), and stayed to share the story of how he and Judith chose the town of Bend to open one of more than a few restaurants they have managed. 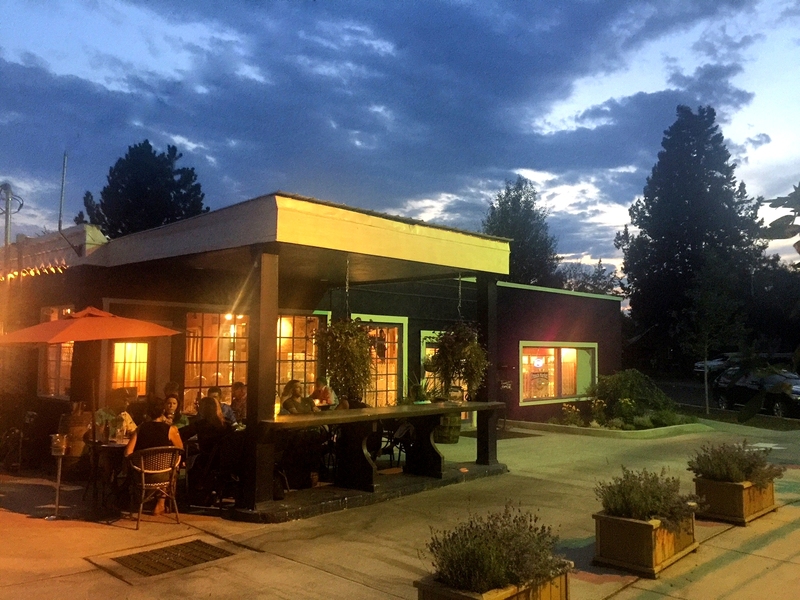 Their responses are in the conversation below, but quite simply, their answer was what I was hoping to find when I moved to Bend in the food culture but couldn’t until they arrived. They filled a culinary niche that had not yet been touched. So while yes, Bend is known for its many breweries (22 as of this posting), now it has a culinary destination as akin as I have found in Oregon to sitting down in a small town in Europe amongst the quiet chatter of familiar faces and passers-through whilst sipping wine from France, nibbling on Tete de Moin from Switzerland and savoring handmade pasta with fresh chorizo, Manchego, lemon and greens inspired by the likes of Italy. With an ever-changing menu inspired by the seasons, as well as using freshly grown vegetables and herbs in their adjacent garden, each meal, serving sizes to satiate as the food is delectable and mouth-watering but properly proportioned so there will no need for a doggie bag (the perfect French approach as was discussed in today’s interview on the podcast with Géraldine Lepere), was enjoyed from the charcuterie & cheese platter full of French pate, Spanish chorizo and buttery Emmental cheese to the main courses ranging from Roasted Pork Tenderloin with radish salsa and fried fennel to the farro salad with avocado and poached egg and Grilled Albacore topped with crème fraîche and nigella seed with cherry tomatoes. But I cannot neglect to ogle over their ricotta mousse (which I talked about earlier in this post), which is an unexpectedly most perfectly decadent, yet refreshing selection to complete your evening at the market. Composing an environment that is both fundamentally about good food, but offers guests a full experience is something that comes with expertise and time being around lovers of food, jovial conversation and a wide variety of cultures. Judith and Philip have succeeded in creating a symphony, and below you’ll discover how it came to be. 1. 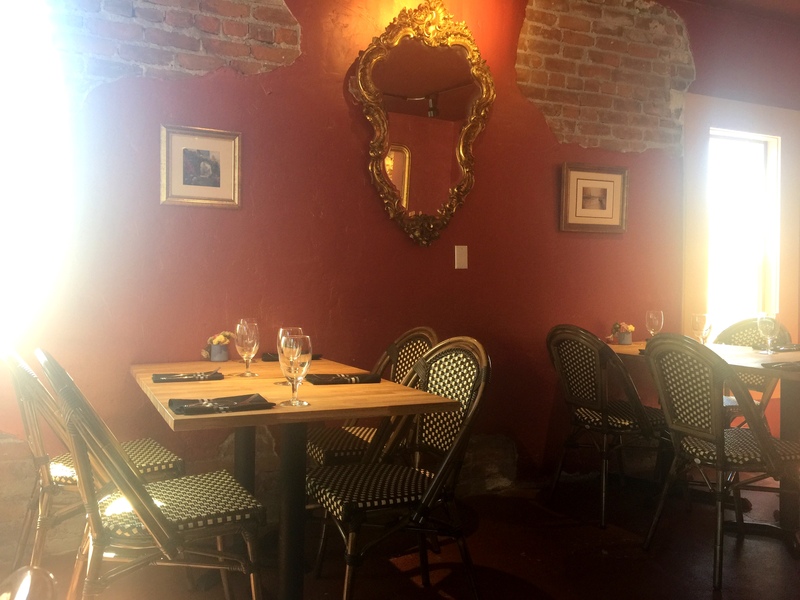 The French Market, in name, evokes a feeling of a sophisticated, delicious, casual locale. 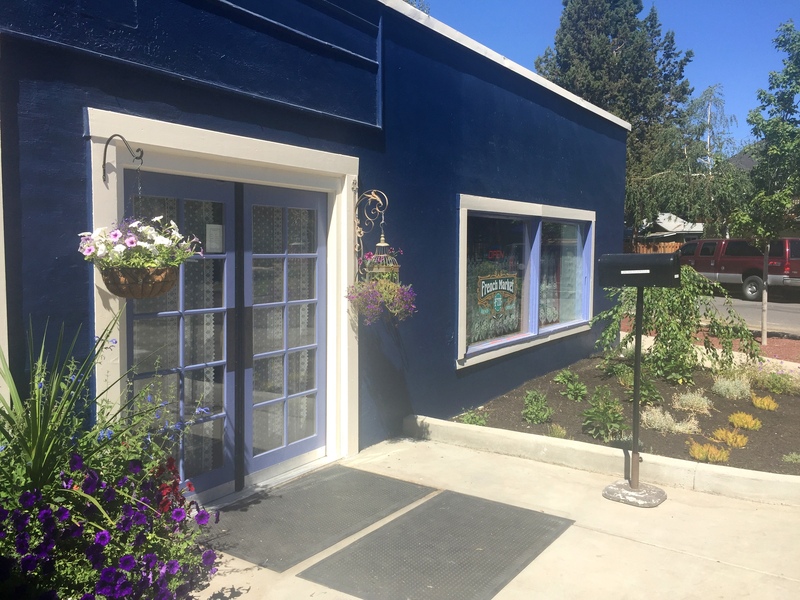 Being nestled into a historic neighborhood in Bend, what was it about the location and the city of Bend that sparked the decision to open a restaurant here? We thought this existing restaurant would be welcomed by the neighborhood if it reflected their taste and lifestyle. People in Bend are more sophisticated. They have traveled all over the world. They are adventuresome eaters. We wanted to serve them the kind of dishes they ordered in Europe. With the right food and ambiance, they can relive that experience and create a their own sense of adventure. 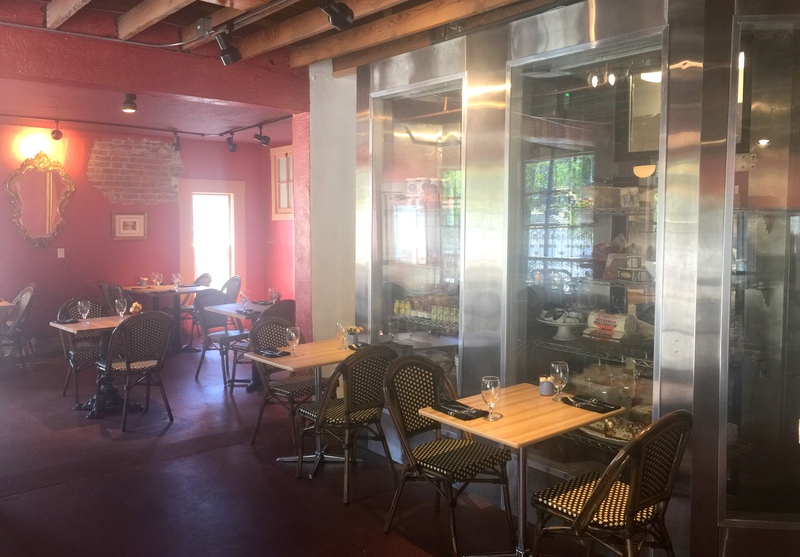 Just as each village or neighborhood in France has a café the residents can walk to, we felt the Old Bend neighborhood would welcome its own special eatery. 2. The cuisine available to patrons at The French Market is inspired by the offerings in southern France and northern Spain. What is one of your favorite dishes on the menu currently? Phil: The scallop carpaccio is my favorite. But the season ends in a week. Another favorite is the eggplant prepared like baba ganoush. Judith: My favorite entrée is the Roasted duck breast, and the Summer vegetable caponata is my favorite small plate. 3. When did you begin to fall in love with cuisine and cooking, and what about this world of how and what one eats spoke to you? Phil: God bless my Mother. He forgot to bless her cooking. I got interested in cooking as a matter of survival. I was soon charmed by Julia Child’s cooking show. It seemed like magic to me yet so complicated that I was afraid to try. I screwed up my courage one day and made a quiche. It went over at the family dinner. I have not looked back. I met Judy at a ski house in Squaw Valley. Over the group meals at the house, I learned she was the chef at her restaurant in San Francisco. It was a shared interest! We talked about recipes and restaurants. After a trip to Paris, I asked her how to create a dish that I had enjoyed there. The first time Judy had dinner at my apartment was the evening she came over and showed me how to prepare the dish. Not that it matters, but the dish was four kinds of fish fillets. The magic was the sauce. Fish fumet is added to beaten egg whites and flying fish roe was added at the very end. Pleasing to the the eye and the palate. Judith: I grew up in a family of citrus ranchers. Eating just-picked fruit and vegetables was a way of life, and mealtimes were sacrosanct. My grandmothers and my mother and aunts were all fabulous cooks, so I learned from the best. Then when I was 20 years old, I had a boyfriend give me a Gourmet (magazine) cookbook. I was off and running, delighting in the wonderful world of French cooking. 4. Judith, you have co-owned eight restaurants and catering companies in both San Francisco and Napa Valley. What were some of the most valuable insights you learned about food and people during your experience? I learned that when presented with fresh, well-prepared food, no matter if it was at a formal dinner or at a picnic on the beach, people would begin to unwind, to start to connect with one another. A bite of a fresh, home-grown tomato can transport you back to your childhood. Well-prepared fresh vegetables can convert even the most died-in-the-wool vegetable hater who grew up on canned or overcooked vegetables. Grumpy people can be smiling by the end of a delicious meal. 5. Many of our readers are Francophiles, most of which visit but do not live in France. You two have lived in France for two years, as well as Spain for three. What did you most enjoy about living in Europe and what ways of life have you brought with you to your new life in Bend? You know, Shannon, people write books to answer this question. Over a bottle of wine and some local boar meat salami, I would talk about what it is like to be the immigrant. We are the outsiders. We did not speak the language. We did not know the customs, the rules that every body else observes. Strangers showed us great kindness. Sticking to food, there are supermarkets just like here. What is special are the village markets. Our town closes off the center to vehicles so the farmers can set up their stalls. There stalls of fresh produce, breads, wines, cheeses, meats, olives and so on. One of my passions is for the cheeses. We may never have the raw milk cheese permitted in the US. The production is so small for the farmer’s cheeses that they do not get exported. Nor do they have the shelf life to stand up to the transportation time. You have to go there to enjoy them. 6. Having had the opportunity to dine at The French Market a couple of times (once for lunch and once for dinner), I appreciated immensely how the wait-staff enabled guests to sit, savor and talk. In so doing, we lost all track of time and ended up having the most memorable experience from appetizer to dessert. In so many American restaurants, there is a hurry for turn-over. What other details, along with the wait-staff’s attention, do you find makes for the best dining experience? It’s important to us that each diner has the option to sit, relax, and enjoy his or her meal in a pleasant environment, along with having the opportunity to enjoy their dining companions. While in Europe, we learned that the history of the word “companion” comes from “con”, meaning “with”, and “pan”, meaning “bread.” Thus a companion is someone with whom you shared your bread. 7. What is a restaurant, bistro or café you love to visit when you return to France/Spain? In France, we love to go to the local town crêperie, called Le Sarrisan. The crêpes are delicious! In Spain, one of our go-to restaurants is Mirabé, located in Barcelona on the side of Tibidabo. It not only serves wonderful and delicious Catalan dishes, but offers a fabulous vista overlooking the entire city. 8. What is something you are excited about that diners can expect in the coming months at The French Market? This fall, we are excited to offer monthly pre-fixe ddinners, each of which will pair special wines with a unique and delicious menu. 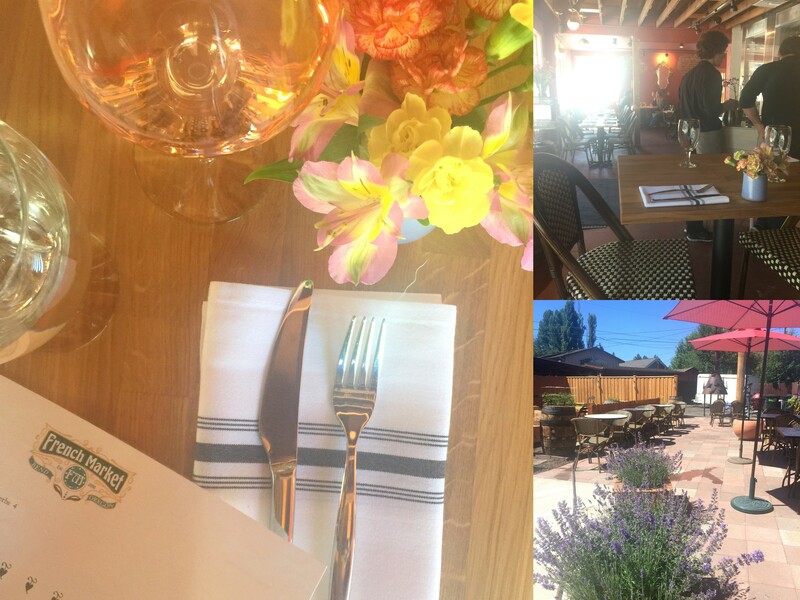 We also will be hosting Meet-the-Winemaker dinners. 12. Most underestimated food item – Eggs – they’re so versatile! 14. Butter or Olive Oil – both! I want to thank Judith, Phil and their staff for the warm welcome into the restaurant and providing an experience what was most memorable for myself as well as my guests.